MGSA's in-house league for 7th and 8th graders is 14U Slowpitch. There also may be games played against HS teams, based on league enrollment. The makeup of the 14U and HS leagues are determined by league director and MGSA board, with input from league coaches. Players continue their development of advanced softball skills. Competition becomes a greater element of the program with the introduction of inter-league games with neighboring cities. 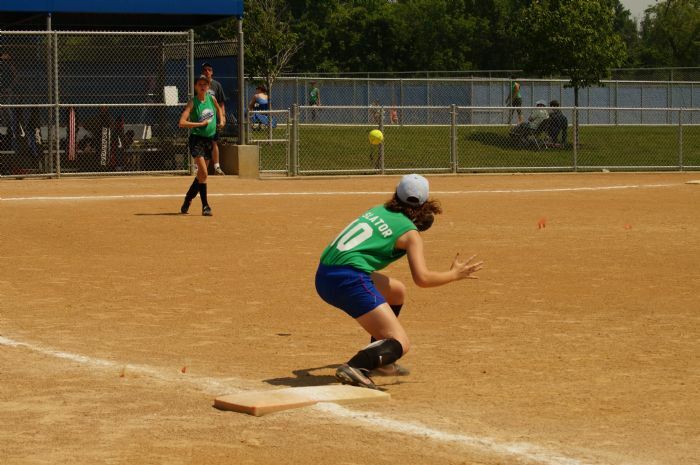 In-house games are played at Legacy Fields at Minnetonka High School and Optimist Field in Glen Lake on Thursday nights and Saturday afternoons. Players receive a t-shirt and black socks. Players must provide their own batting helmet (with mask), fielding mask and softball mitt. Gym shoes are fine, plastic cleats are optional. Fielding masks for infielders are required beginning in 2019. A season-ending in-house tournament offers the opportunity for additional competition and includes MGSA and Glen Lake teams. We also offer competitive travel options which play through the end of July. Rules for this league can be found here.